A SpoiledLatina, is a powerful Latina who works hard to spoil herself. Whether she kicks back to read a book, gets a manicure or takes a spontaneous getaway. She may an independent Latina who is furthering her education or she works 3 jobs and simply wants to sleep in one day. The possibilities of spoiling yourself are endless. I think as women we work so hard to further our careers, to be friends, sisters, mothers and many of us manage our households. We often forget about ourselves. There is a lot of responsibilities to being a head strong, goal oriented woman. I believe in Spoiling yourself from time to time. I work long hours. My mind is constantly on the move with different ideas and ways to implement them. So when I do get some free time, some me time, I will spoil myself. I love shoes so my feet get the spoiling, most of the time. Finally, I made t'shirts! I have been thinking of printing some for us SpoiledOnes to wear for the longest and with life happening and everything going on, I just hadn't. Until now! So ladies and gents the shirts are ladies t's. 98%Cotton 2% Spandex. Soft and comfortable, a good feel to your body. 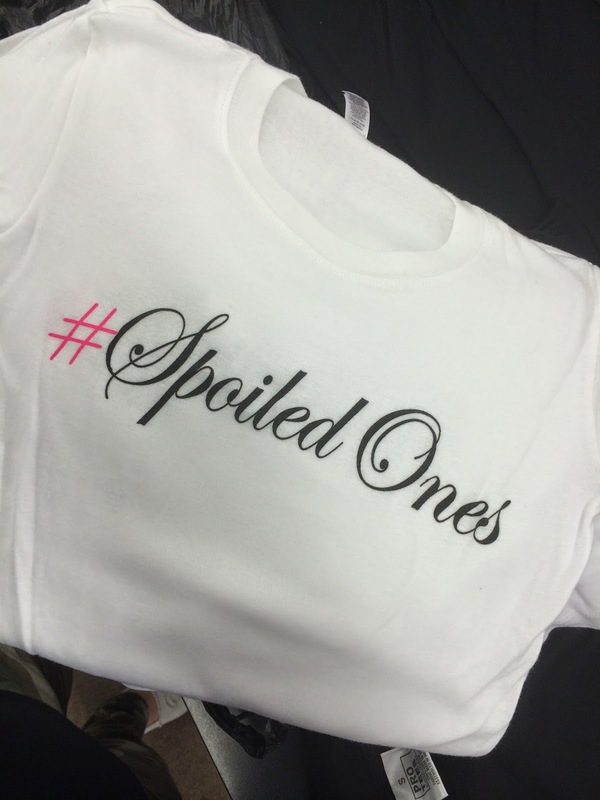 I created the SpoiledLatina logo T and also the hashtag #SpoiledOnes. 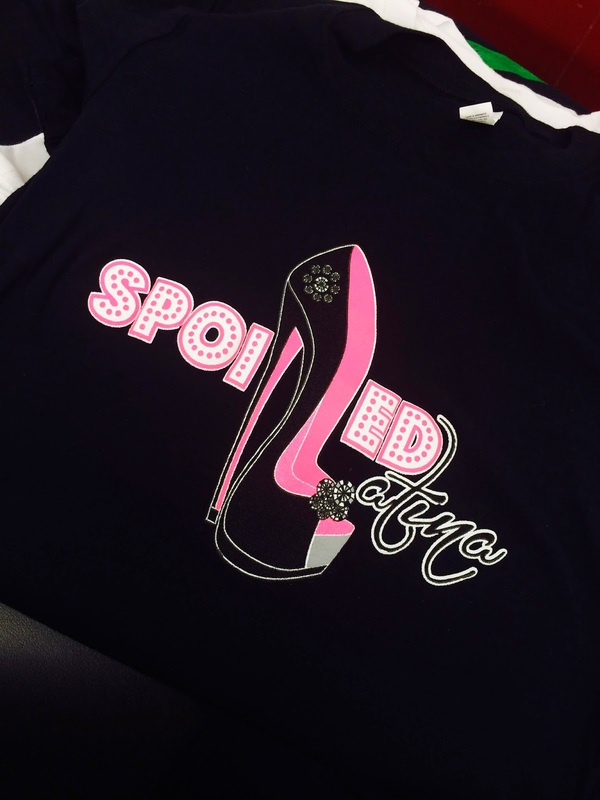 Hope you like .. Click here to purchase and enter SPOILED at checkout for complimentary shipping in the U.S.